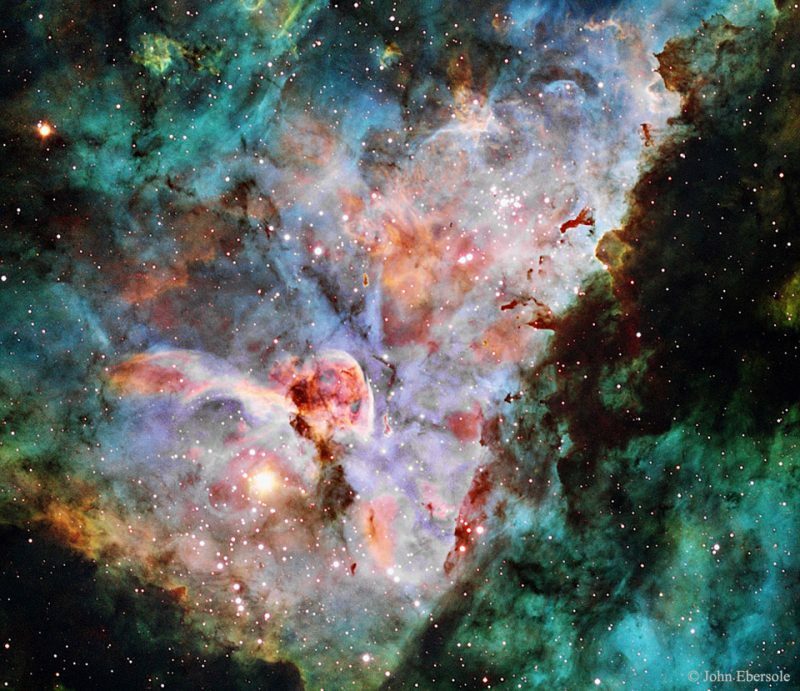 What you see is the Carina Nebula, also known as NGC 3372, 7500 light here and about 350 light-years across years. As you can see is composed of two types of clouds, right dense clouds (actually less dense than Earth’s atmosphere) of black color that absorb light and left clouds of hydrogen. As always happens when these two things come together in the union area birth of stars where we have new and emerging stars in a million years is observed. This nebula is very visible except that only can be seen in the southern hemisphere and highlighting the Eta Carinae, a star like our sun 200 times and that is a lot of times more luminous. In fact, the naked eye can distinguish the nebula Eta Carinae thanks to the lights.